Are you looking for an opportunity to make a real difference in the community? Do you want to gain new skills and experiences? Are you passionate about empowering people to prepare for and recover from disasters and emergencies? Communications Coordinator 1 position: Seattle – The AmeriCorps Communications Coordinator will promote and publicize face-to-face preparedness training opportunities conducted by volunteers and other AmeriCorps team members to broad audiences within targeted communities; Develop strategies and processes for utilizing new media as an enhanced tool for successful delivery of disaster preparedness training and awareness resources; Build capacity for future program promotion by recruiting, training, and developing communications volunteers; Deliver disaster preparedness education presentations in a variety of formats to a variety of audiences. 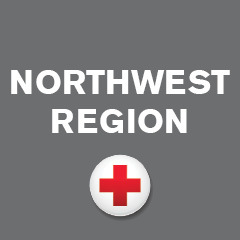 Disaster Preparedness Coordinator 9 positions: (Seattle-3, Tacoma-1, Everett-1, Spokane-2, Kennewick-1, Bellingham-1). 2 of the positions in Seattle will focus strictly on youth audiences. The other positions will target adult audiences but applicants must also be comfortable with presenting to youth audiences. 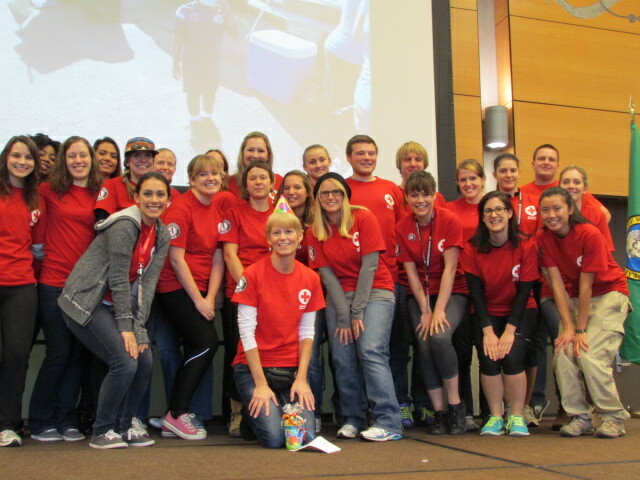 The AmeriCorps member will deliver disaster preparedness education presentations in a variety of formats to a variety of audiences; Recruit, train, develop, and assist support disaster preparedness volunteers in various communities throughout Washington State. Disaster Preparedness and Response Coordinator 10 positions: (Seattle-2, Tacoma-1, Sequim-2, Bremerton-1, Vancouver-2, Wenatchee-1, Yakima-1). The Disaster Preparedness & Response Coordinator will deliver disaster preparedness education presentations in a variety of formats to a variety of audiences; Respond to surge demand for client program delivery across rural and vulnerable Communities; Recruit, train, develop, and assist disaster preparedness volunteers in various communities across Washington State. Service to Armed Forces (SAF) Coordinator 5 positions: (Tacoma-2, Bremerton-1, Spokane-1, Kennewick-1). The SAF Coordinator will deliver services, programs, and educational presentations to audiences within our Washington military community; to better prepare service members and their families during times of emergencies and deployments. Programs include disaster preparedness, first aid and CPR training, resiliency training courses and information on Red Cross emergency communications services. Volunteer Program Coordinator 5 positions: (Seattle-1, Tacoma-1, Everett-1, Spokane-1, Yakima-1). The AmeriCorps Volunteer Program Coordinator will assist with the development of strategies and processes related to direct recruitment, engagement, retention and recognition of Red Cross volunteers; Build capacity to provide sustainable volunteer driven programs by developing volunteer leaders and recruiting and training volunteer support teams; Conduct informational presentations, volunteer interviews, and volunteer records management in order to optimize successful recruitment and retention; Deliver disaster preparedness education presentation in a variety of formats to a variety of audiences. All AmeriCorps positions will require occasional travel to other Red Cross offices in Washington State. Members should also be comfortable working with a wide variety of people from all walks of life and backgrounds, and respect the Red Cross principles of neutrality and impartiality. TO APPLY: Click on the red position links below that will take you directly to a detailed description of the available position, as well as to an online application form. The American Red Cross also requires a resume and one cover letter detailing strengths and skills for each position (max of 3 positions in order of preference). Please make sure to also specify site location preference. Use your journalism, writing, social media and communications skills to help one of the world’s most respected humanitarian organizations – the American Red Cross. Position located in Seattle. Join the American Red Cross to empower our community to be prepared for disasters. Our preparedness programs engage diverse populations and organizations through interactive education and outreach. Positions located in Bellingham, Everett, Kennewick, Seattle, Spokane, and Tacoma. Join the Red Cross to empower communities to prepare for and recover from Disasters. Prepare communities through education programs and provide support to people who have been affected by disasters. Positions located in Bremerton, Seattle, Sequim, Tacoma, Vancouver, Wenatchee, and Yakima. Use your enthusiasm and skills to facilitate outreach presentations, deployment briefings, and information fairs for active duty military members, their dependents, and extended family members. Positions located in Bremerton, Kennewick, Spokane, and Tacoma. Take advantage of this unique opportunity to join the Volunteer Services Department at the Nation’s largest “volunteer led” organization. Learn best practices and create the vision for the future. Positions located in Everett, Seattle, Spokane, Tacoma, and Yakima. PLEASE NOTE: AmeriCorps team position offers are contingent upon AmeriCorps funding notification, to be announced by May 31, 2015.